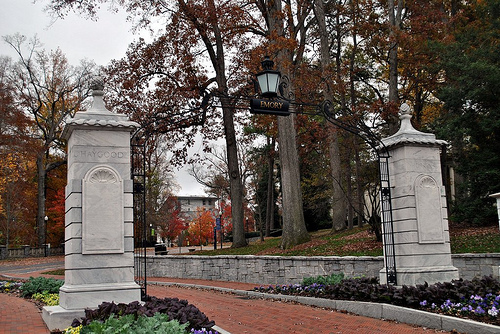 In 1997, I was sitting in front of the Stone Gate at Emory University, the last stop of my marathon protest of the then seven NIH Regional Primate Research Centers. Emory is home to the infamous Yerkes Primate Research Center. Coincidentally, the University of Wisconsin, Madison (an earlier stop on my protest tour) was embroiled in a public controversy stemming from their repeatedly broken promises to Dane County and Vilas Zoo officials that monkeys then housed at the zoo would not be used in harmful experiments. A reporter from the Atlanta Journal Constitution showed up and asked me my opinion of the breaking news (which I hadn't yet heard) about the primate center technician who had just died as a result of being infected with the herpes B virus, a virus endemic in macaques. It turned out that Emory, intimately involved in writing the OSHA regulations governing the required safeguards for people working around macaques, had been derelict in own requirements for its own employees and negligent and incompetent in responding to accidental exposures of staff. Beth Griffin wasn't wearing any face protection when something got in her eye while she was handling young rhesus monkeys destined to be hurt and killed. When she began developing symptoms, her concerns were downplayed and Emory doctors failed to recognize the likely life-threatening disease she had contracted in spite of the history of her case. UW-Madison then used her death, callously and misleadingly, to argue that the monkeys at the zoo they had been lying about for years were a public health risk. Creepy cruel liars should never be trusted. Anyway, here's a recent article that adds some new information to this altogether tragic story. In 1997, Caryl experienced a parent’s worst nightmare when her daughter Elizabeth “Beth” Griffin died at the age of 22 after contracting a virus while working as a primate research assistant. Caryl worked as a nurse for more than 30 years and, today, is an ordained elder with the Holston Conference of the United Methodist Church. Caryl has spent much of the past 15 years working through her grief. 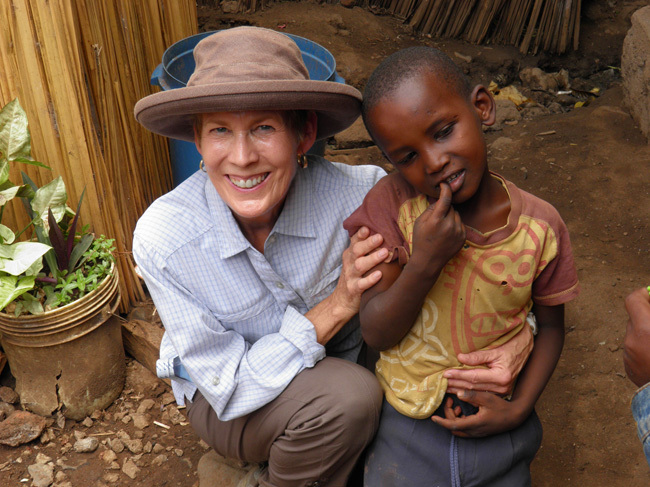 But with the help of her late husband, Dr. William Griffin, and Beth’s sister, Kimberly Griffin Hicks, Caryl has found solace — and hope — in traveling the globe to educate others about how to encourage safe practices in research facilities. Following her graduation from Dobyns-Bennett High School in 1993, Beth moved to Atlanta, Ga. to attend Agnes Scott College. She completed a double major in biology and psychology, was a member of the Modern Dance Team, and was a paid researcher in the biology department. Beth graduated with honors from Agnes Scott with a bachelor of science degree in May 1997. Beth was working as a research assistant at Yerkes Regional Primate Research Center at Emory University in Atlanta in the fall of 1997 where she was engaged in behavioral research on hormonal influences in Rhesus Macaques — or the Rhesus Monkeys — and was in the process of applying to continue her pursuit of graduate studies and research in the field of biological/psychological sciences. Caryl, answering what she says was a very strong calling to go into the ministry, decided to attend the Candler School of Theology at Emory University at the same time Beth was a student there. “Beth said, ‘Mom, do this!’ She was there to help me move into my apartment. She had her own apartment and her own friends. But she spent a lot of time with me, too. It was a lot of fun,” Caryl said. But then, just three months after Caryl got to Emory, she got a call from Beth, saying she had been splashed in the eye while performing annual physicals on 100 monkeys in a research compound. This was in October of 1997. Eight days after Beth was splashed, the first symptoms of a problem appeared — Beth had “matter” exuding from her eye. Caryl says Beth had worked with monkeys long enough to know she could be in serious trouble and she needed help quickly. She went to the emergency room, where she was diagnosed with pink eye. Beth’s fears that she had been infected with the Monkey B Virus were ignored by the ER staff, Caryl said. Beth tried calling the Office of Infectious Diseases and was told she needed a referral before she could be seen. A phone call to her internist to obtain a referral resulted in being told she needed to obtain her emergency room records first. Eleven days had passed since Beth was exposed. The internist referred her to an ophthalmologist instead of the Office of Infectious Diseases. The ophthalmologist said Beth had Cat Scratch Fever. She was placed on an antibiotic. Despite Beth’s pleas, she still was not tested for the Monkey Virus. Caryl says Beth’s condition continued to deteriorate. She developed a severe and pounding headache, but still could get no help from the medical community. After more phone calls, another visit to the ophthalmologist and Caryl’s insistence her daughter see an infectious disease physician, Beth’s diagnosis was finally confirmed. Two weeks after she had been splashed in the eye, Beth was tested for the Monkey B Virus, or Macacine Herpesvirus 1. Just as she suspected, Beth’s results came back positive.